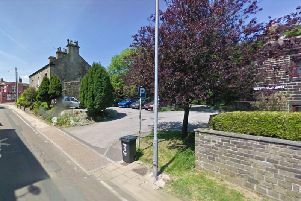 Could Woolworths be set to return to Calderdale? Woolworths, which had stores in Halifax and Brighouse, could be set to make a comeback to the high street almost 10 years since the retailer shut its doors after collapsing. Tony Page, the company’s former managing director, said he has approached shopping giant Shop Direct, which owns the Woolworths brand, to repurchase the name in a bid of launching a series of stores. “I am still emotionally attached to it,” he told the Daily Star. Page added that he felt the stores would still be a ‘physical retailer’. “I feel as though if the brand name was available it would still be a possibility to bring it back [to high streets,” he said. Woolworths entered administration late in 2008 after racking up almost £400m in debt, with administrators Deloitte closing all the 807 stores between 27 December 2008 and 6 January 2009, which resulted in 27,000 job losses. Shop Direct purchased the name a month later and continued to operate Woolworths website until it closed down in 2015.